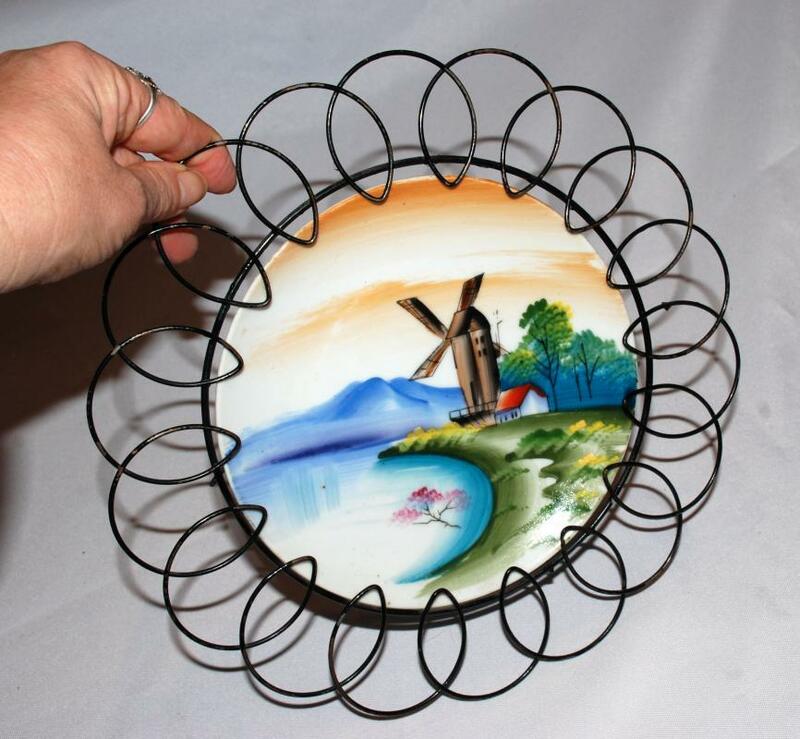 Hand Painted Porcelain Windmill Plate in Wire Frame, Japanese Export, Japan . 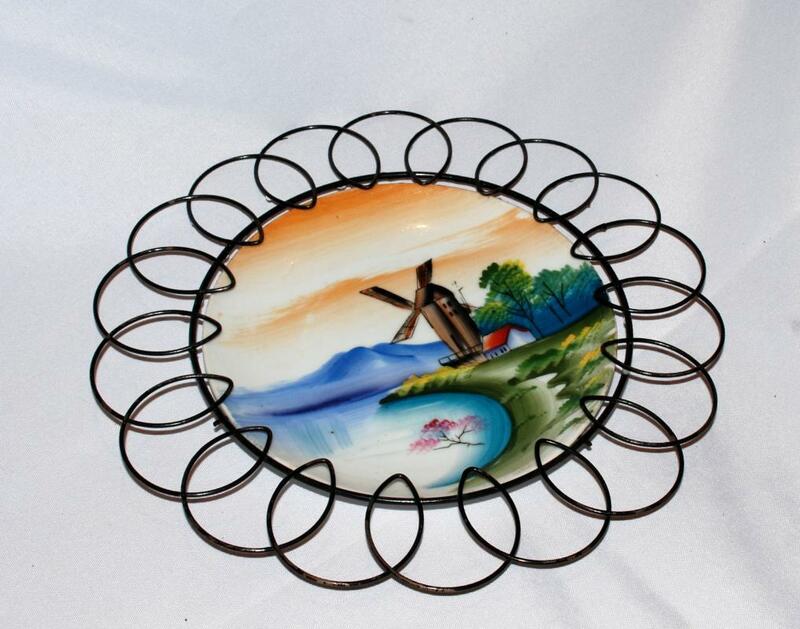 The plate is 7 " across and the frame makes it 10.5". The condition of the porcelian is excellent. 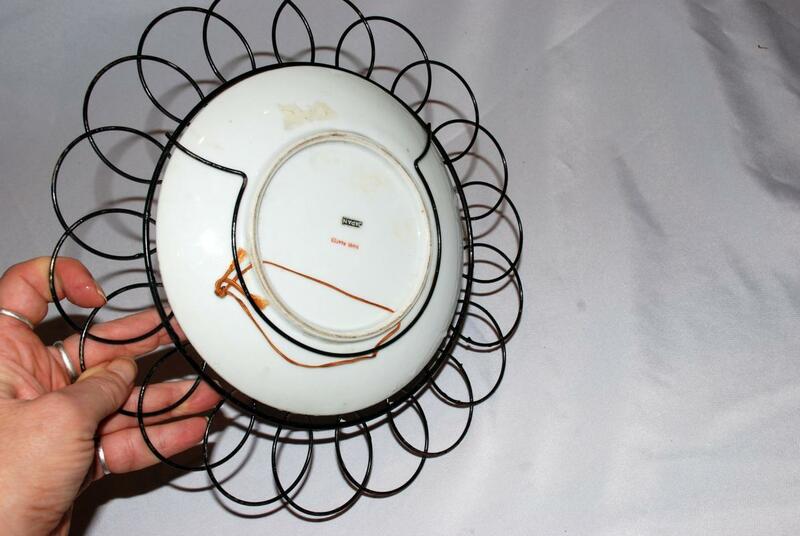 The wire frame has some rough areas where some paint has rubbed off.